2016 was without a doubt an annus horribilis for Turkish journalism. Shortly after Aslan’s resignation, the country’s leading investigative journalist Ahmet Şık was arrested for “propaganda for a terrorist organization” and “denigrating the Turkish Republic and its institutions” in his tweets, articles and public comments. Just a few days after that, six other journalists were arrested. Attacks on the media have escalated massively since what the government deemed a coup attempt took place on July 15, with at least 270 people killed in the violence. But independent media was already in trouble before then. President Recep Tayyip Erdogan has embarked on an offensive against Turkey’s media. Journalists are harassed, many have been accused of “insulting the president” and the Internet is systematically censored. 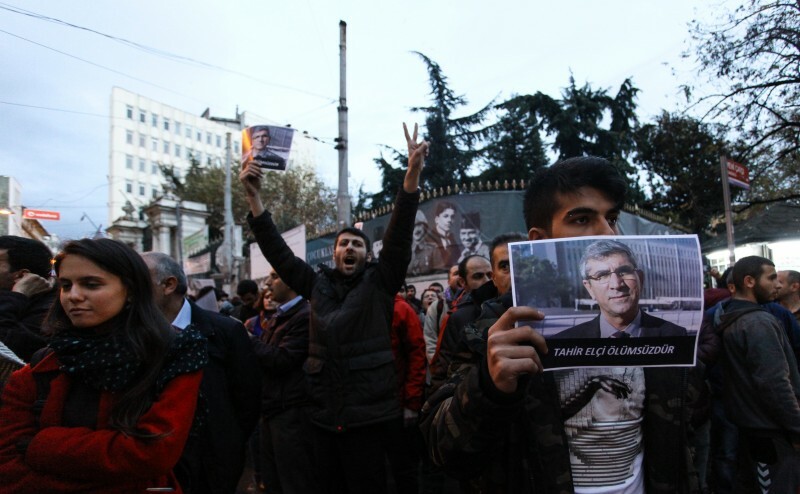 The regional context – the war in Syria and Turkey’s offensive against the PKK Kurds – is exacerbating the pressure on the media, which are also accused of “terrorism.” The media and civil society are nonetheless resisting Erdogan’s growing authoritarianism. How much longer can the resistance last? The main tool at the government’s disposal is accusing journalists of supporting the cause of the Fethullah Terrorist Organisation (FETO), the name Ankara uses for followers of the Hizmet movement (inspired by US-based cleric Fethullah Gulen) which it says organised the putsch. The government has also clamped down hard on journalists covering events in the Kurdish-populated southeast of the country, where government troops have been accused of systematic human rights abuses. In one example, after police detained leaders Selahhatin Demirtas and Figen Yuksekdag along with nine other lawmakers from the pro-Kurdish HDP party, there were raids on the offices of newspapers and government orders to shut down media platforms. The media outlets affected were those that covered this politically sensitive subject. The escalation in Ankara’s war on the media was foreshadowed months before the botched coup, in a March 2016 speech in which President Recep Tayyip Erdogan called to broaden the definition of terrorism, to include not just terrorists but “their supporters”. This terminology has since been subject to overly broad interpretation. The speech came in the same month that a group of academics were jailed on terrorism propaganda charges, for calling for an end to government security operations in the southeast. Earlier in March, the government seized the Zaman newspaper that was Turkey’s largest, and known for its affiliation with Gulen, a former ally of the ruling AKP (Justice and Development) party, whose covert but widely-cited control over top-ranking judges, prosecutors and policemen put him at odds with Erdogan, the most powerful Turkish politician in decades. Media gag orders also have become an ingrained government practice even before the July violence, and were most recently enforced following the New Year’s Eve attack on an Istanbul nightclub that claimed 39 lives, and the December 19 assassination of Russia’s ambassador to Turkey. According to Engelli Web, an independent website that tracks blocked websites in Turkey, over 115,000 websites have been blocked in Turkey, up from 105,958 at the the end of last year. In just one recent instance, social media platforms were blocked when the same ISIS militant group that claimed responsibility for the horrific nightclub massacre released a video in which men it claimed were Turkish soldiers were killed on camera. Authorities have also increasingly taken to blocking online anonymization tools that can be used to evade the blocks. Unsurprisingly, Washington DC-based Freedom House ranked Turkey “Not Free” on its “Freedom on the Net” report for 2016. In 2015 and 2014, the same group said the Turkish Internet was “partly free”. But Erdogan has brushed off international criticism, and recently announced he has no regard for Europe’s “red line” on press freedom, suggesting there may be even more arrests and repressions this year. This article was originally published on January 10, 2017, and is republished with permission from Arzu Geybullayeva.